According to reports, the father of music legend, “Stino Rhymes” is dead. REV. MICHEAL ONOLEMEHEN UGEGE took his final breath in the evening of 9th September 2015 at an undisclosed hospital in Ibadan. 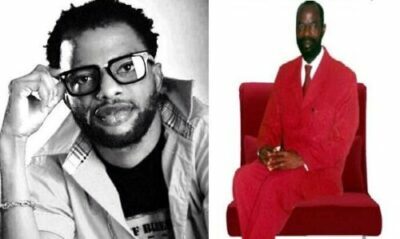 Popular Nigeria Singer, songwriter and producer.“Stino Rhymes” will be joined by their other siblings to bury their dad , REV. MICHEAL ONOLEMEHEN UGEGE who passed away this month 9th September 2015, 9th is service of songs, 10th body lives mortuary and 11th thanksgiving service 2015 at their home town Benin city, Edo State. Roll call of artiste 2 perform!! Solid star, Maleke, Slizzy e, Anogiri, Waje, Franchise, 3:6, Nas T, Lyn brown, Buchi, I go save And lots more.